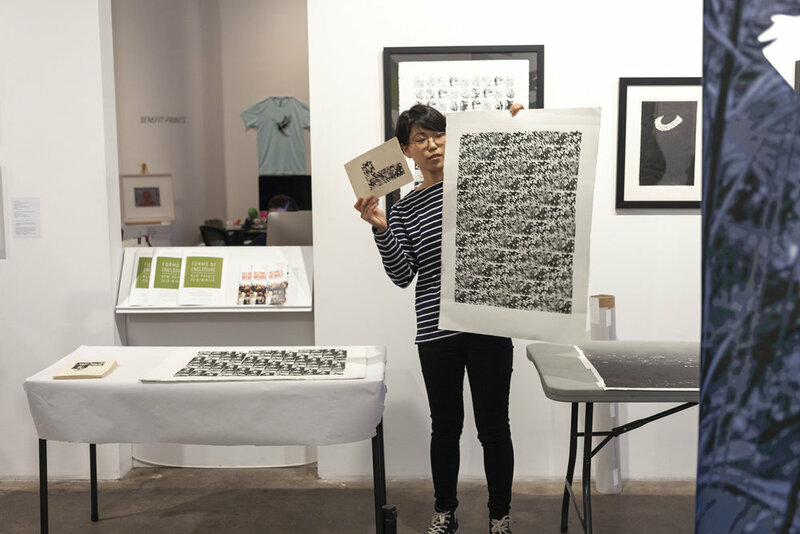 On March 21, we hosted the closing reception for Forms of Enclosure: New Prints 2019/Winter with artist talks by Susan Goethel Campbell, Kate Liebman, Mallory, and Kyung Eun You. 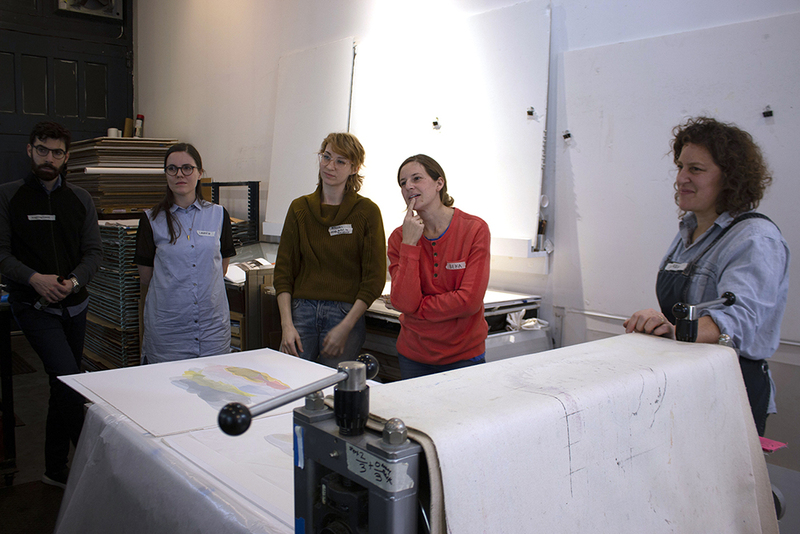 Images: Kyung Eun You, Susan Goethel Campbell, Mallory, and Kate Liebman giving artist talks. 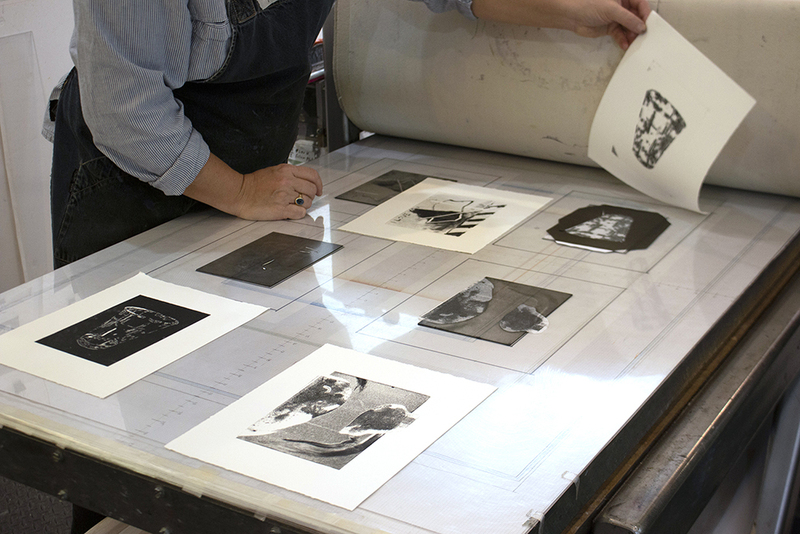 Images courtesy Elisabeth Berezansky for IPCNY. 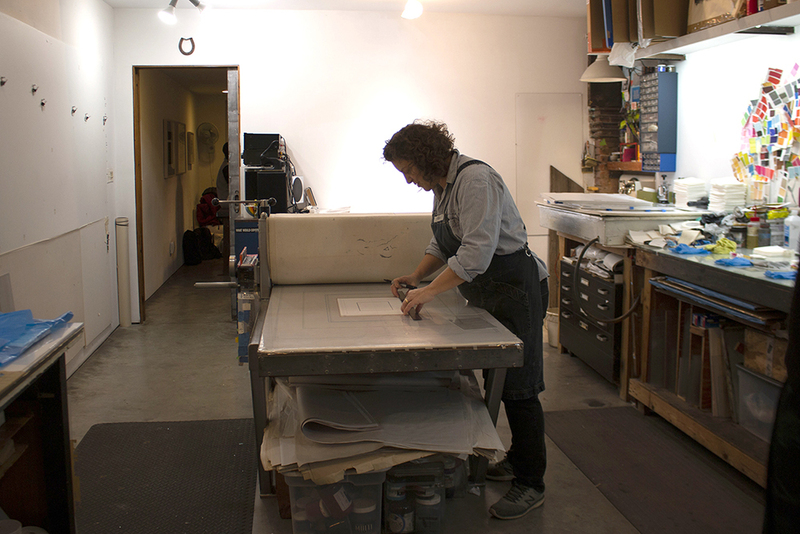 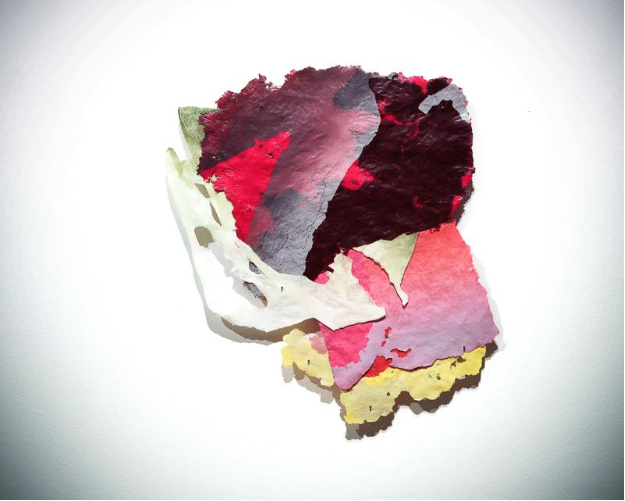 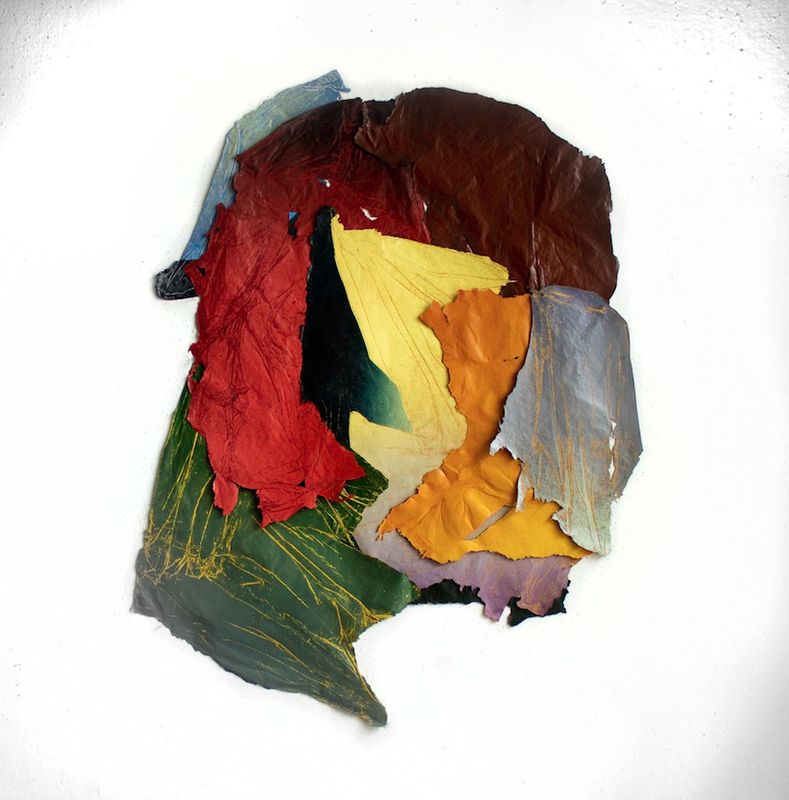 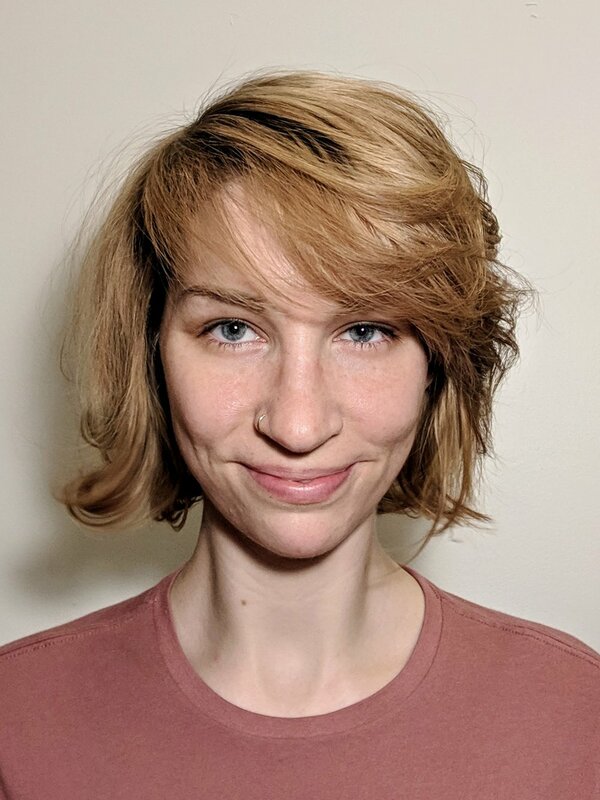 Visit New Prints 2019/Winter Artist-in-Residence Allison Conley and check out Forms of Enclosure as a part of this year’s Highline Open Studios on March 9-10, 2019, from 12-6pm. 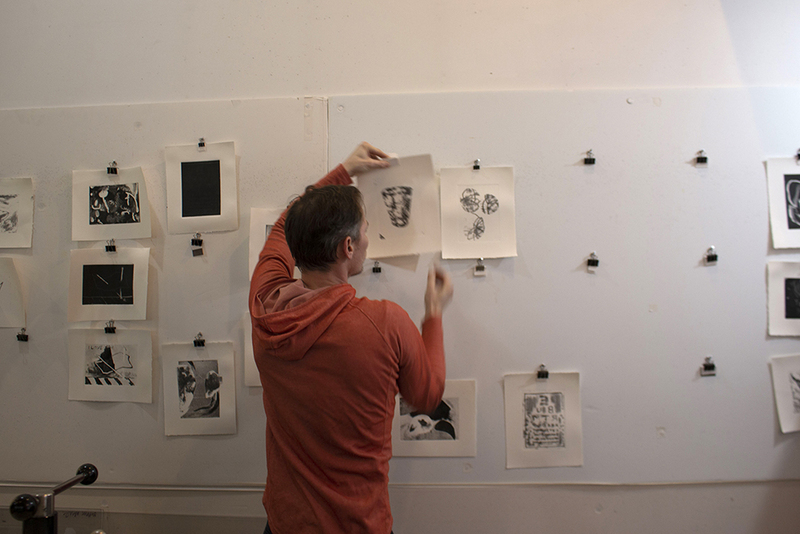 Read more and see the full map at highlineopenstudios.org. 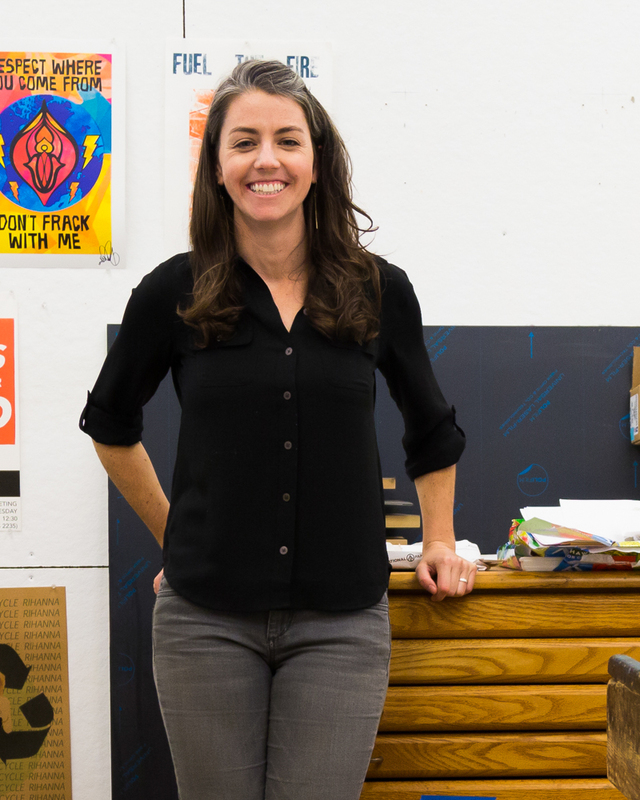 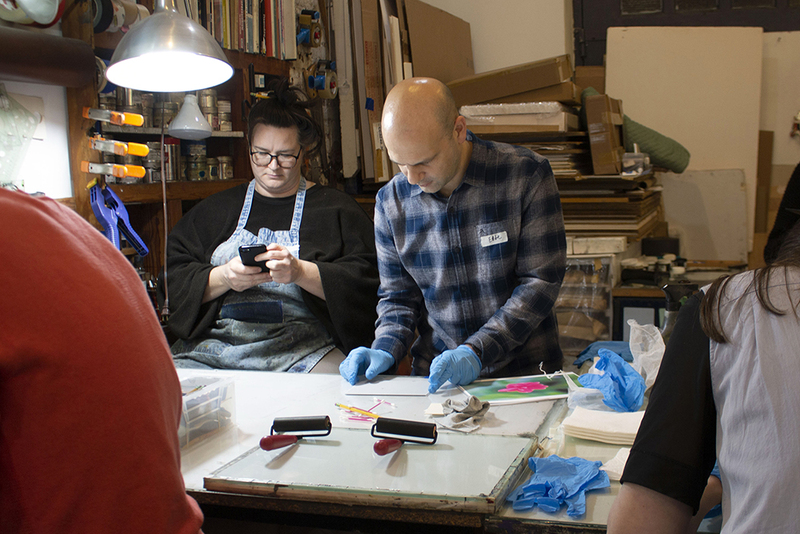 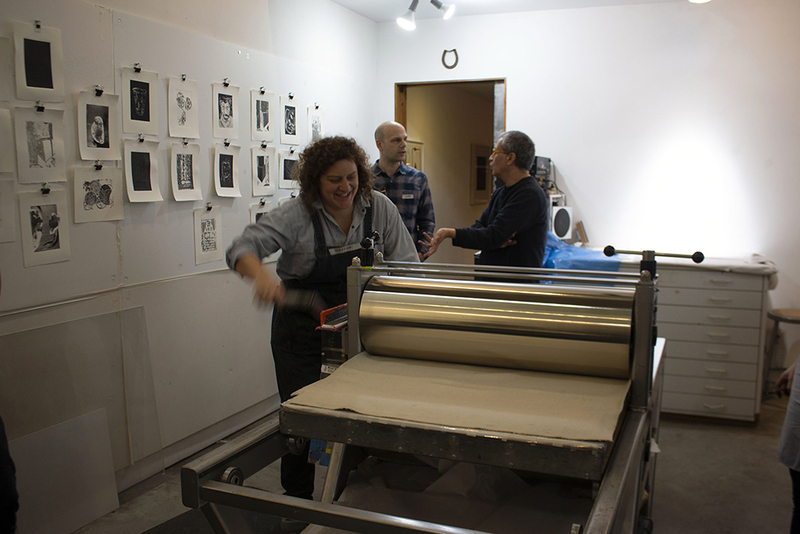 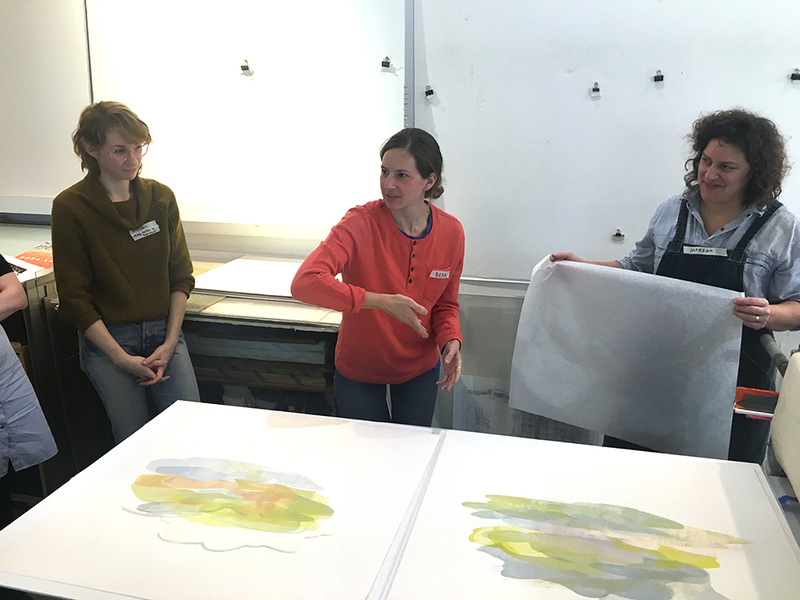 In conjunction with her New Prints Artist Residency, Allison Conley hosted an artist talk and Pint 'n Print demo on Thursday, February 21. 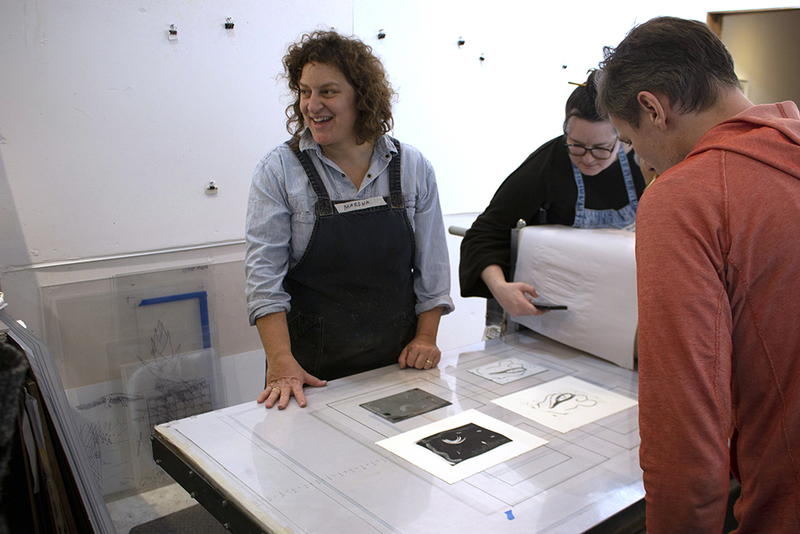 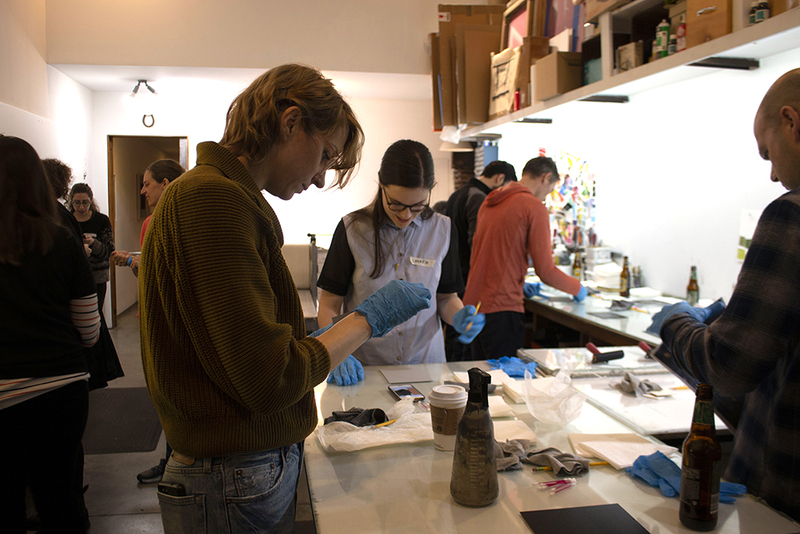 Participants made their own drypoint prints and saw what she's been working on in our studio so far. 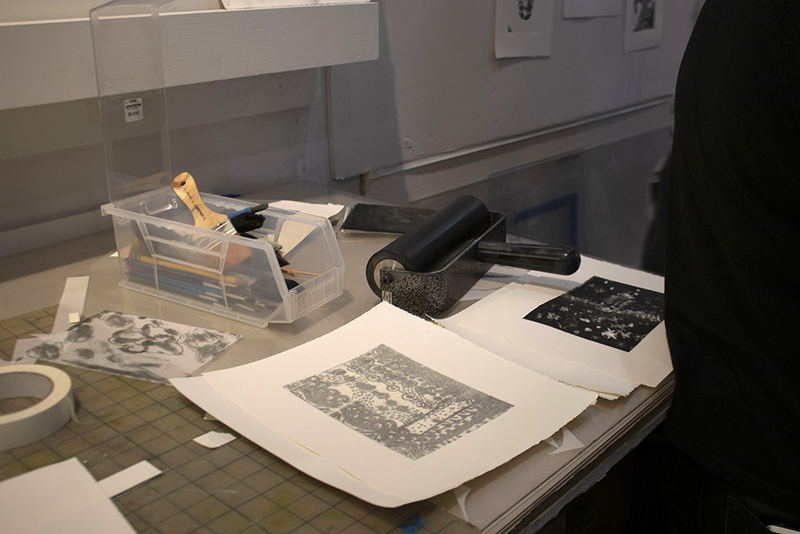 Pint 'n Print nights are an occasion to experiment with printmaking techniques in our friendly exhibition space. 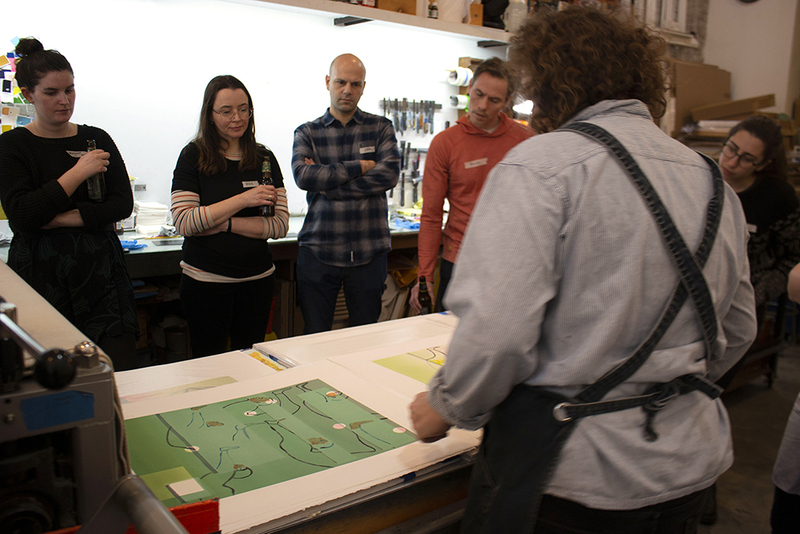 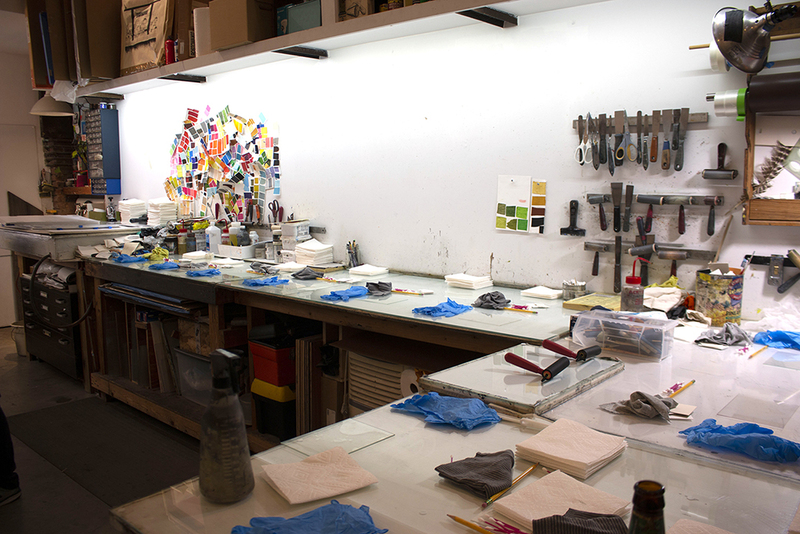 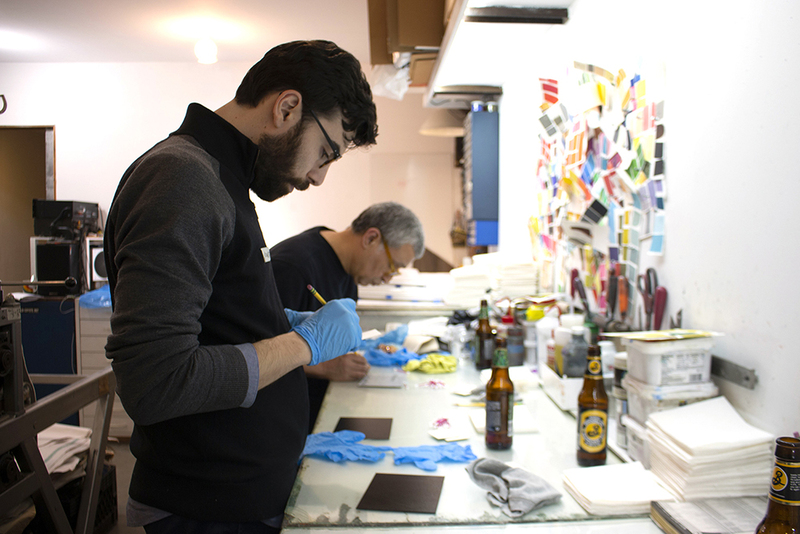 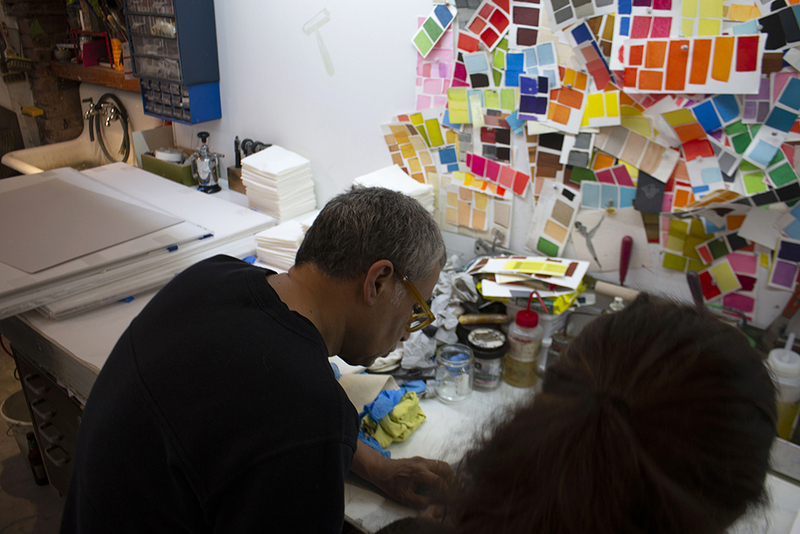 Whether you're new to the medium or a practicing printer, we welcome visitors to come have a beer and make some art! 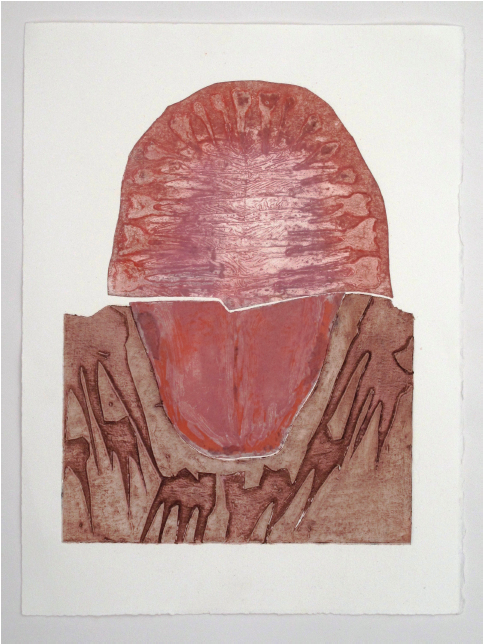 Read more on Forms of Enclosure: New Prints 2019/Winter, open through March 23. 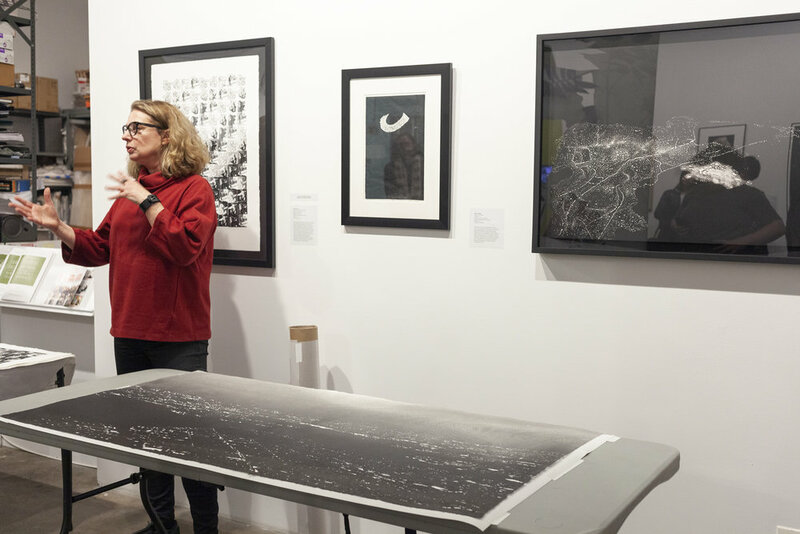 Forms of Enclosure: New Prints 2019/Winter opened with talks from three artists on view, Alison Judd, Enrique Leal, and Taryn McMahon. 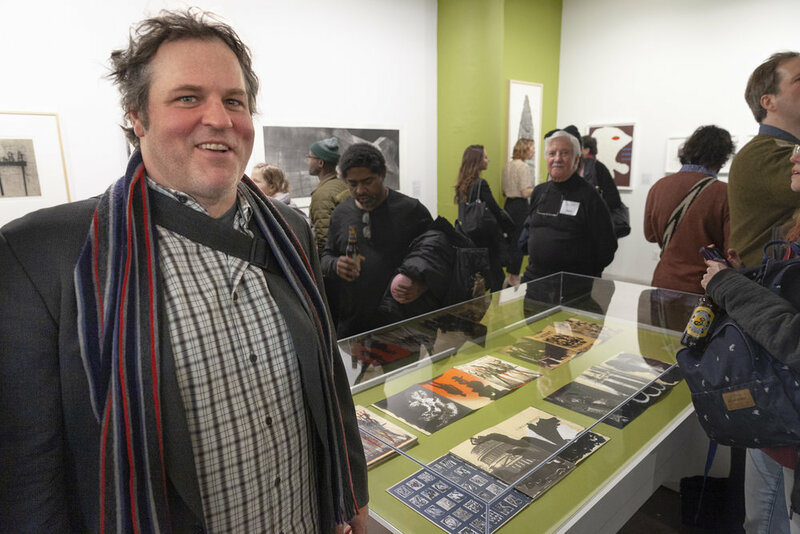 Read more about the exhibition, open through March 23, here.